The Past President’s Council is proud to continue the Community Soup KItchen in partnership with Indiana American Water Company, New Mt. Moriah MB Church and the Jewels of Fortitude Foundation. Come eat with us! 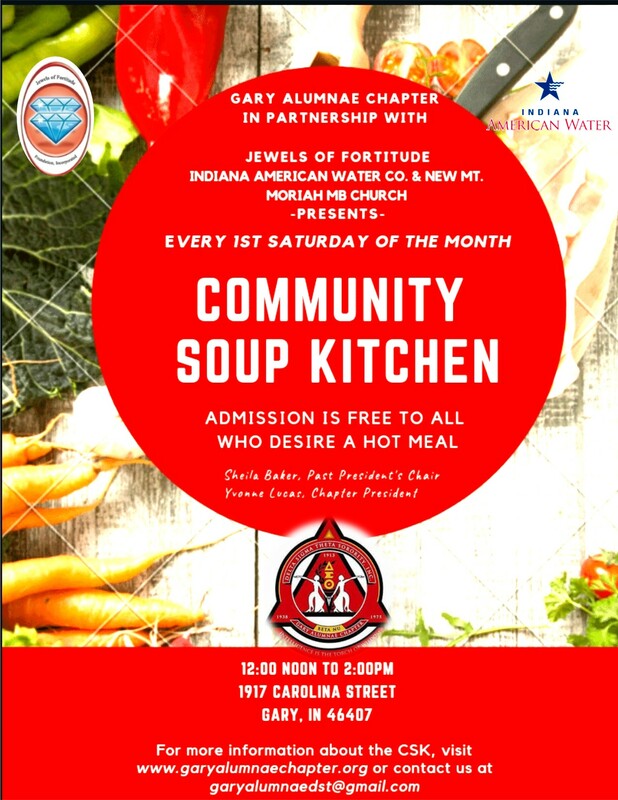 The Community Soup Kitchen is going on EVERY 1st Saturday of the month from 12pm-2pm. FREE to anyone who desires a hot meal. New Mt. Moriah MB Church 1917 Carolina St. Gary. For more information about our Community Soup Kitchen, please contact Sheila Baker @garyalumnaedst@gmail.com.